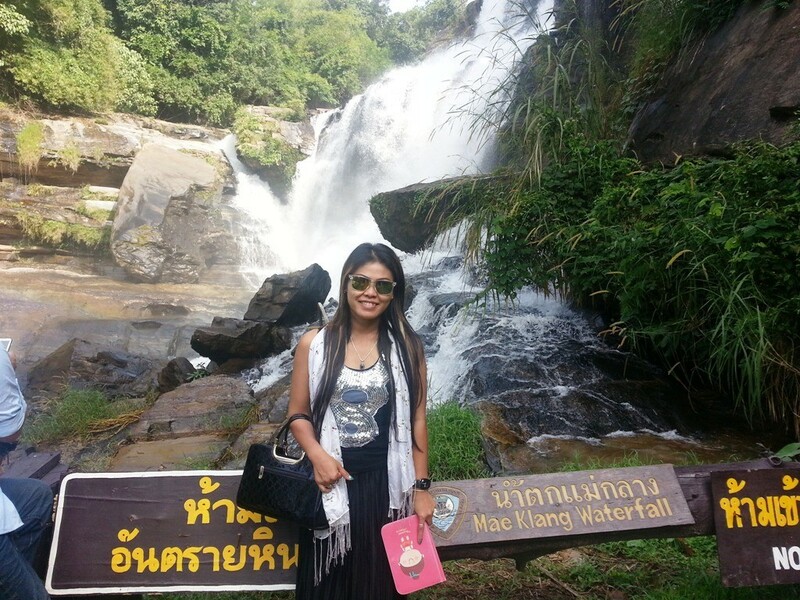 Mae Klang Waterfall is probably Chiang Mai’s most visited Waterfall. 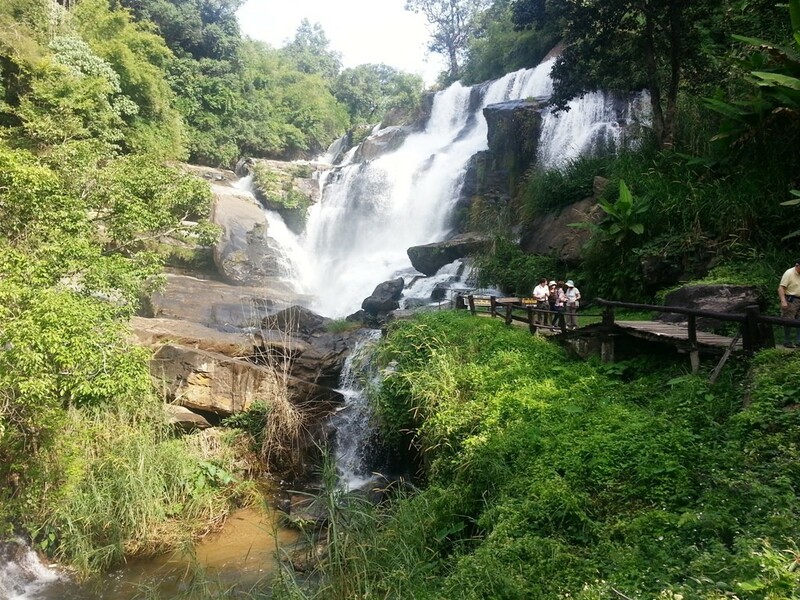 It is located approximately 66 km from Chiang Mai in the Doi Inthanon National Park. 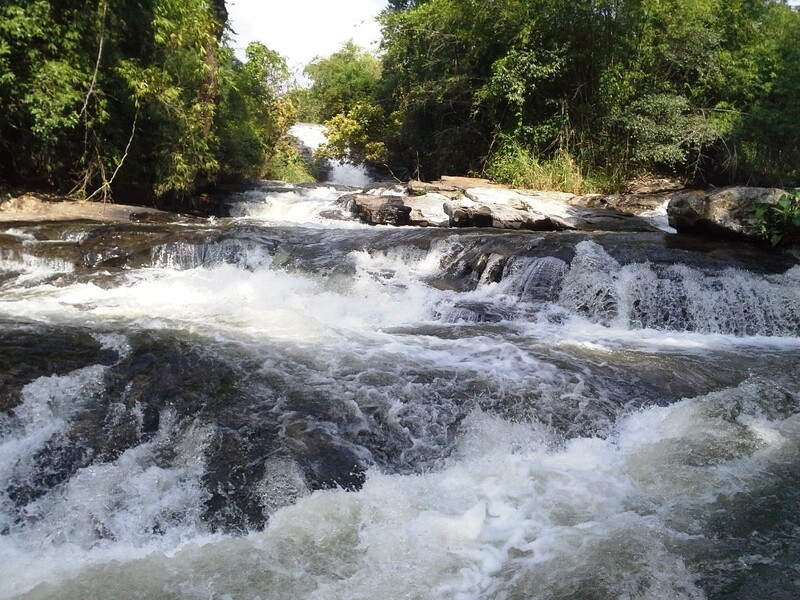 The Mae Klang Waterfall has water flowing all year round, but as with all waterfalls in Thailand it will be at its best in the rainy season. 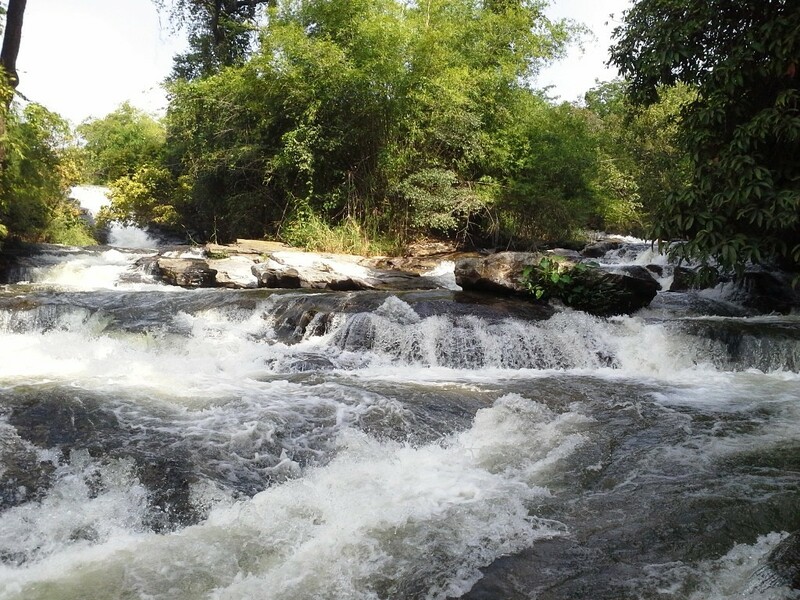 Although it is technically free to visit, it is the first waterfall on the main road into the Doi Inthanon National Park, approximately 600 metres past the checkpoint, so you need to pay to get inside the National Park to see it. 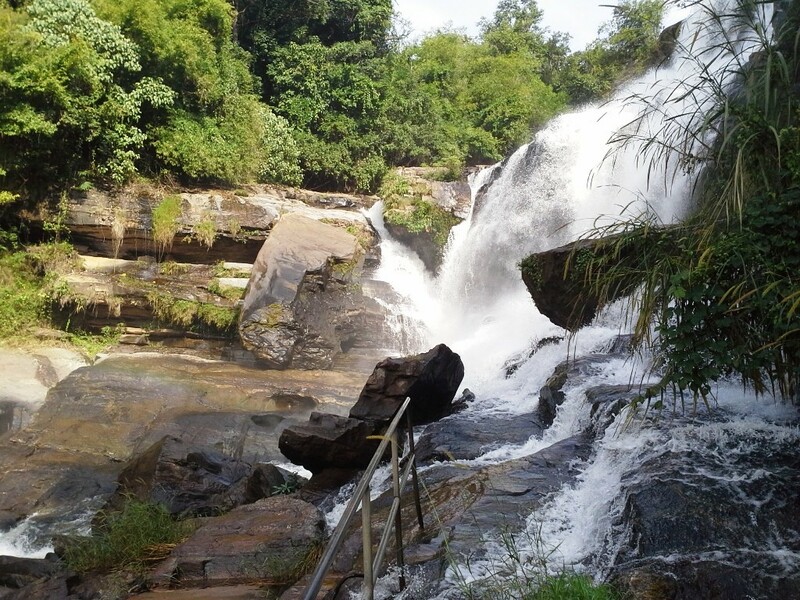 As the Mae Klang Waterfall is very popular, it can be very busy during the weekend and public holidays. There are some pleasant places to stop for a picnic and there is also a kiosk where you can buy food and souvenirs. While in the area, I highly recommend a visit to several other attractions including the Doi Inthanon Summit, the Doi Pui Hmong Village, the Naphamethanidon & Naphapholphumisiri chedis and the Wat Phra That on Doi Suthep. Make sure you have all your batteries for cameras fully charged as there will be ample opportunity for photos on any trip to the Doi Inthanon area. 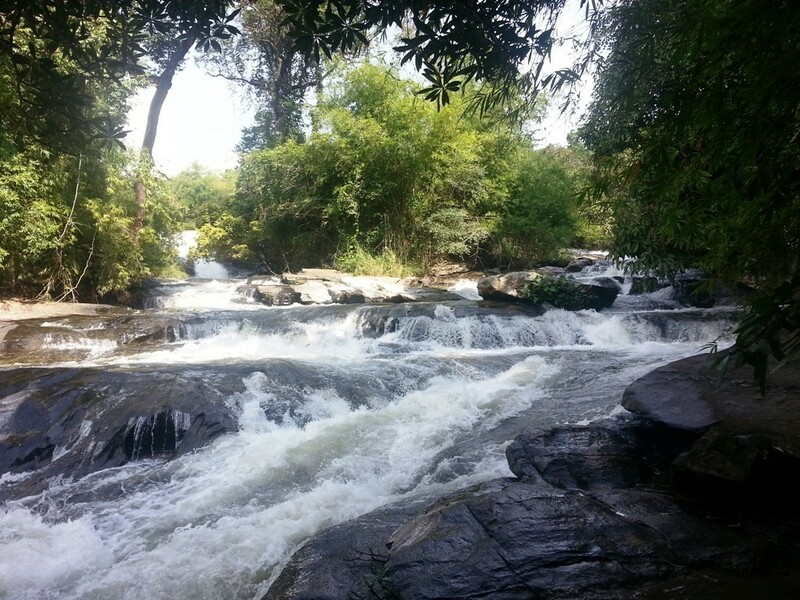 Below are a few photos from our visits to the Mae Klang Waterfall. Click on any image to open a cascading light-box and to see a description of the image.